Ceramic Pro Sport is a high quality, hydrophobic, nano-ceramic paint coating! Ceramic Pro Sport is a maintenance coating for Ceramic Pro 9H. It is also considered to be an entry level Ceramic Pro coating with super hydrophobic effect. Ceramic Pro Sport can be applied on treated with Ceramic Pro 9H car body as well as on untreated with Ceramic Pro 9h car body. It makes Ceramic Pro Sport a universal product. Ceramic Pro Sport’s unique formula is designed to restore the super hydrophobic effect of Ceramic Pro coatings. Sport maintenance coating is also suitable if hard water is an issue which can cause water spots. The coating is applied with a microfiber towel on wet surface after a wash and rubbed in. 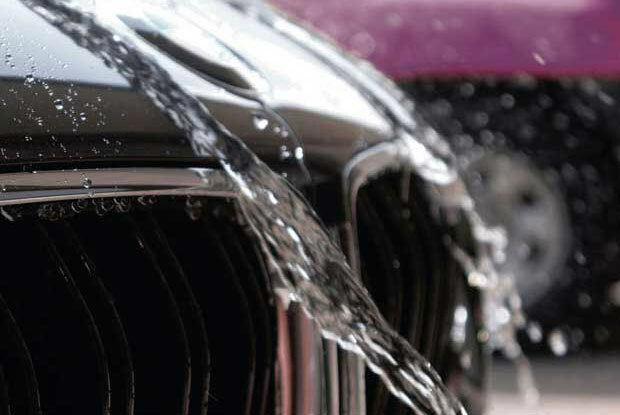 Ceramic Pro Sport adds further hydrophobic effect and reduces any possibility of water spotting from hard water or rain water. START TODAY & GET COATED!